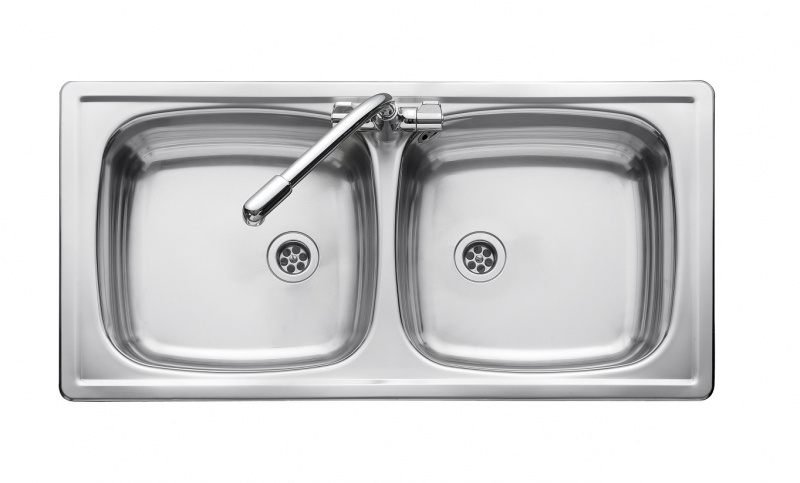 The Leisure EL860D is part of the inset kitchen stainless steel kitchen sink range from PlumbNation. 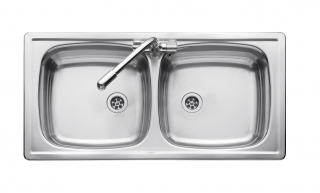 The EL860DB Euroline is a double bowl, no drainer, one tap hole, stainless steel inset kitchen sink from Leisure. The EL860DB is available as a reversible kitchen sink. The Leisure Euroline is a light, modern and versatile sink with a continental design influence. Its manufactured from Leisure's high grade 0.8 gauge stainless steel, and come's with a 10 year manufactures guarantee.